European crash testers gave the 2018 Jeep Wrangler a scathing one-star rating Wednesday. Europe's New Car Assessment Program said the off-roader earned the poor rating due in part to its lack of modern active safety equipment. The new Jeep Wrangler didn't offer automatic emergency braking on 2018 versions. 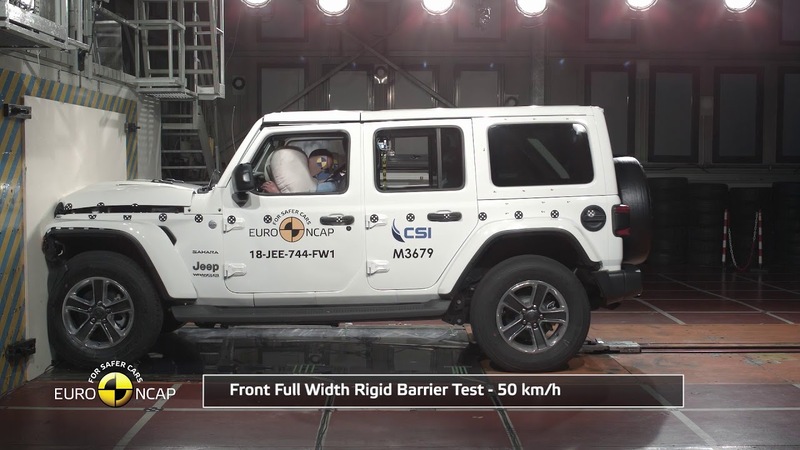 The rating comes even after 2018 Wrangler aced the side-impact crash tests, however. A Fiat Chrysler Automobiles spokesperson told The Drive that the Wrangler is safe enough to be sold around the world, and that the "JL got a perfect score on one of the side-impact tests—how many vehicles with removable doors can claim that?" Michiel van Ratingen, secretary general of Euro NCAP, said it's "disappointing" to see a new car on sale without active safety features such as automatic emergency braking and active lane control. "It is high time we saw a product from the Fiat Chrysler group offering safety to rival its competitors," he added. The 2019 Jeep Wrangler will add automatic emergency braking on Sahara and Rubicon trim levels beginning early next year, according to FCA. If the Wrangler tested featured automatic emergency braking, it's likely the SUV would have received a much higher rating instead of its measly one-star performance. Overall, the SUV captured 50 percent of the maximum points available in the crash test. Neither the NHTSA nor the IIHS has tested the new Wrangler in the U.S. Some local expert car commentators have been foaming at the mouth about this finding, posting Youtube videos "celebrating" how the JL has been found to be a death trap because of the injuries received by the crash test dummies. Does this mean that the JK recorded better results in head on/offset collisions to the JL? Given what Fiat Chrysler says about the side impact testing, it looks as if the side impact protection in the JL is an improvement over the JK. Last edited by eksjay; 10-12-2018 at 09:07 PM. Hmm, so it seems you have to have the latest tech to score the points, regardless if you have a car that is actually going to help save you in an impact situation. From my understanding, autonomous emergency braking only works below 30km/h. Most people I talk to about this feature are under the impression that you can be scooting down the highway at 100k/h and a kangaroo or pedestrian can walk out in front of you and the car will stop before hitting them! And active lane control - please, give me strength! All this is, is an attempt by manufacturers to outdo each other in the tech stakes to gain market share. On the other hand, it is also being successful in deminishing driver responsibility and accountability in preparation for driverless cars. When that occurs, we will be completely controlled by the prevailing authorities and the world will be a much ‘safer’ place for all. 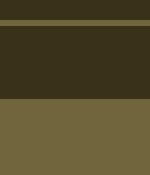 Last edited by clip; 10-12-2018 at 07:17 PM. Yeah, the JL was penalised for lacking the tech, but it performed pretty poorly in the actual frontal crash testing, too. I think any Body-on-Frame vehicle will struggle in front impact testing... the frame won't (shouldn't) crumple like the crumple zone in a unibody vehicle. And emergency brake assist is just a bandaid to help with driver's not paying attention like they should. 2012+ gets 4 stars on ANCAP at the time they tested it. Today it would likely get 1 star from the NCAP assessment considering all the requirements (curtain airbags, seatbelt warnings for rear seat passengers, AEB, etc) but the crash test of the JLU doesn't look good in a frontal collision, and those passengers look a lot worse for wear compared to other vehicle crash tests in the segment. The ratings systems are a point in time snapshot, the goalposts keep moving. I see what you mean but I guess the goalpost is really “how safe is this vehicle compared to other new vehicles I could buy right now”. But yeah, in a way it’d be better to just keep add a star to the system every year or two so that vehicles of different ages can be compared.